From Goodreads: At 44 Susan Duncan appeared to have it all. Editor of two top-selling women's magazines, a happy marriage, a jetsetting lifestyle covering stories from New York to Greenland, the world was her oyster. But when her beloved husband and brother die within three days of each other, her glittering life shatters. In shock, she zips on her work face, climbs back into her high heels and soldiers on - until one morning eighteen months later, when she simply can't get out of bed. 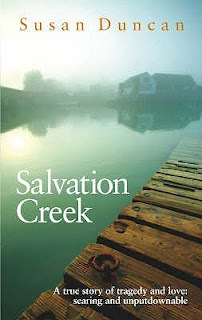 Heartbreaking, funny and searingly honest, Salvation Creek is the story of a woman who found the courage not only to begin again but to beat the odds in her own battle for survival and find a new life - and love - in a tiny waterside idyll cut off from the outside world. Thoughts: This is the second time I've read Salvation Creek and it was so worth the re read. It's my book group book this month. Where I live is a small community and ferry access only. Salvation Creek I think will be a great book for book group as so much of it reflects our lives. For a book that has it's fair share of tragedy, it's incredibly uplifting. I found Duncan to be brutally honest about herself, but not apologetic. Very much a this is me, take me as I am or bugger off approach. At no point does she ask for your pity, or even your understanding. She just presented it the way she saw it, felt it, lived it and left it to you to make your judgement. Duncan seemed to understand the ways of an offshore community very quickly. There's a special feeling to boat access communities. We're almost a little bit smug that we have this amazing way of life and don't get that not everyone wants to live this way. Duncan's love of entertaining would have helped. Her willingness to offer a tea, a beer, a wine, a feed. Mostly this book illustrates how having what society views as successful life - which Duncan did - can leave you feeling empty and confused. 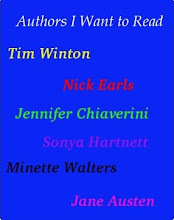 Duncan tried several times to return to part of that life, but found that not possible. The challenge for all of us is to find that balance that allows us to earn money to live, but live a life that nurtures your soul and your relationships. It also shows that it is never too late to find that place where you feel that balance, but the road (or ferry crossing!) may be bumpy, you may take many wrong turns, but if you keep going, it's there.